Thousands of curriculum aligned math* and science games for elementary and middle school students along with epic quests and battles. Legends of Learning is free for teachers and students to use in school. * Math games coming summer 2019! TEACHERS GET YOUR FREE ACCOUNT! My seventh-grade students loved legends of learning! I love seeing them so engaged in science games especially since they are learning or reviewing knowledge with every game. There are so many games for each standard and so many different types of games that each student always finds at least one they like. One of the best features is being able to see who is online and how far they have gotten it is a great way to check their progress and engagement! Last year I had a 90% pass rate and this year we improved to 92%. What makes this data even more amazing is we have a large population of special ed students on my team this year and last year we had none! The biggest jump was in my pass advanced rate - it increased from 38% to 41% and 12 students had perfect scores! 15 of my students have IEPs and all of them passed the test. Our building went up from 87% pass to 91% in fifth grade. I think the numbers are amazing with our large special ed population! I believe a lot of it is due to the work students did in LOL throughout the year to help review and reinforce 4th and 5th grade material. I am happy to say the least. I had a class where some of my students have intellectual disabilities. My students with intellectual disabilities all passed the end of year state standardized exam. I am convinced it was because of their engagement with the content and they were made to feel familiar with the vocab related to these standards through the games. Mahalo! My students love the interaction of games and content! Students were so engrossed in what they were doing, one teacher thought we weren’t in the room!! So excited that we are rolling out Legends of Learning today with students! They are loving it! We were all so engaged that we missed the school bell and my partner teacher had to ask when we were switching classes because we did not even hear the bell! I applaud Legends of Learning for their openness and interest in hearing from teachers. The new features reflect things I was thinking would be great to have - the ability to begin your session where you last left off, searchable playlist and the teachers top ten list is great! Tuesday afternoon [at the end of ISTE] had me all in the feels of my separation. It was an honor to be a part of something that has transformed me as an educator. Looking for super fun standards-based math & science games to support your lessons? We've got more than 1000 games across 140+ topics for grades 3‑8! Teachers pining for standards-based math & science curriculum content? We have thousands of games, assessment items and simulations! Your kids love games and learn better when they are having fun. Find out how you can help your child learn math & science and have fun while doing it! Legends of Learning is always FREE for teachers. Ready to access an incredible amount of free games, activities, and ideas proven to help your students learn, grow, and outperform? 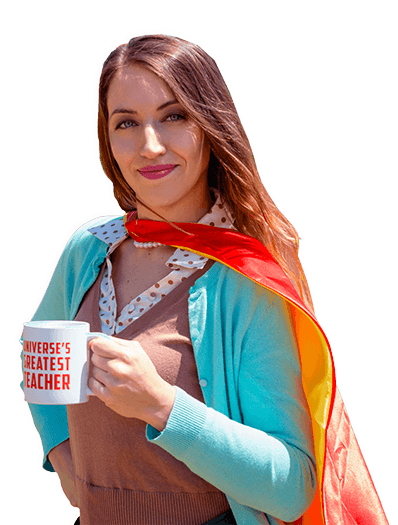 Sign Up and Supercharge Your Classroom!